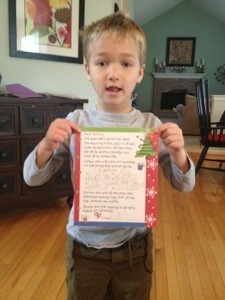 Thing 3 wrote this letter to Santa. He says he is nervous because he doesn’t know if he’s on the good or bad list. When we told him he can only be on one list, he really got nervous. This one may come down to the wire. Haaaaaa! That’s so funny! And more than a little scary!